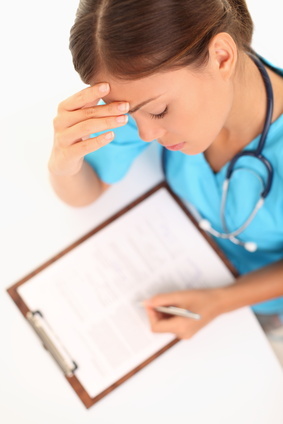 Ethical issues abound in any nursing practice and may be acute in correctional nursing. Correctional nurses can use professional codes and values to guide their actions in an ethically challenging environment. By understanding the ethical foundations of professional practice, nurses working in corrections can make thoughtful patient-centered decisions about their responsibilities in any particular situation. Correctional nurses have a professional obligation to practice ethically. Several codes of ethics are available to correctional nurses including the ANA and ICN Code of Ethics for Nurses as well as the ACHSA Code of Ethics. These professional codes identify the foundational values, duties and loyalties of the nurse to a patient. The nurse-patient relationship is primarily based on a caring ethic, even in the boundaries of a correctional environment. Correctional nurses face moral distress and have opportunities to practice moral courage in advocating for the health and safety of inmate-patients. Correctional nurses can be faced with unique ethical dilemmas such as participation in body cavity searches, hunger strikes and forced medication administration. The use of an ethical decision making framework and application of professional codes of ethics can assist in determining appropriate action. Correctional nursing practice based on ethical principles can be satisfying as well as beneficial to the patient and colleagues. Essentials of Correctional Nursing provides a guide for nurses to practice ethically in this challenging clinical specialty. This entry was posted in Top Ten Reasons and tagged Catherine Knox, correctional nursing, Essentials of Correctional Nursing, ethical dilemma, jail nurse, Lorry Schoenly, prison nurse. Bookmark the permalink.